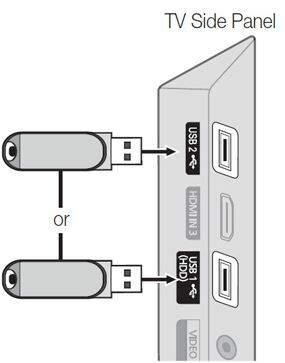 How do I connect and disconnect a USB Device to my Samsung television? media you want to play. you want to play and then the USB device that contains the files. select Tools at the top of the screen. Select Disconnect USB Device from the list to safely remove the selected USB device. What Is The Color Space Setting? Are my Samsung TV's 3D functions compatible with other manufacturers' Blu-ray players?